Tomatoes are a delicious fruit that is grown in most vegetable gardens. While they’re officially a fruit, they are more commonly eaten as a vegetable. 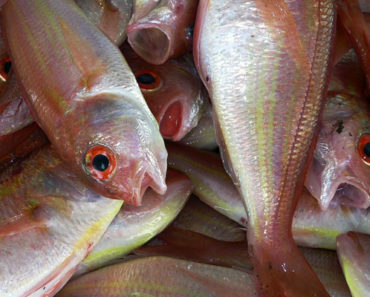 They can be eaten raw in salads, and made into sauces and stews. They’re a versatile plant that isn’t too difficult to grow, as long as you follow the growing instructions. Like other edible plants, tomatoes require a fertilizer to provide nutrients to the tomato plants. This encourages growth of plant and tomato. One of the best fertilizers for tomatoes is calcium nitrate. This is a fertilizer that is made of two different nutrients. Its appearance is white and grainy, and like other types of fertilizers, it also dissolves completely in water, enabling for simple spray application. Calcium nitrate contains 26.5 percent of calcium and the 15.5 of the percentage is nitrate nitrogen. This fertilizer is also suitable for use in greenhouses where there is drip irrigation. The tomatoes can also be watered by hand for outdoor gardens. The fertilizer is applied after the tomatoes plants have been planted into the ground. Calcium nitrate provides many benefits to tomato plants that no other type of fertilizer can provide. It’s a safe method of fertilizing, and has few negatives. 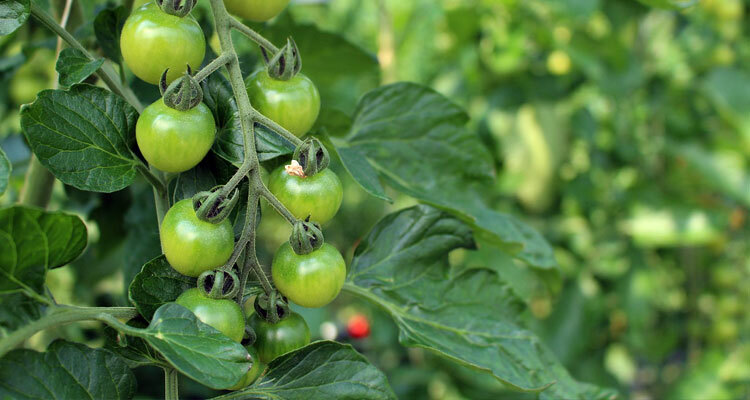 It provides two of the most basic nutrients to tomato plants that they need: nitrate nitrogen and calcium. Calcium nitrate works well for most plants that reside in soil, and works in many different types of climates around the world. Another great benefit of using calcium nitrate is because of the full absorption by the tomato plant roots, so no residue is left behind. This can be a concern which can occur with other types of fertilization. The soil will also not be left salty. This water-soluble fertilizer is easily absorbed, and is a better way to provide the plant with calcium and nitrogen requirements. The nitrate form of nitrogen is the preferred form of nitrogen for tomato plans. This helps the plant to absorb other nutrients too. It will allow soils that are rich in clay to better transfer nutrients to the tomato’s roots. 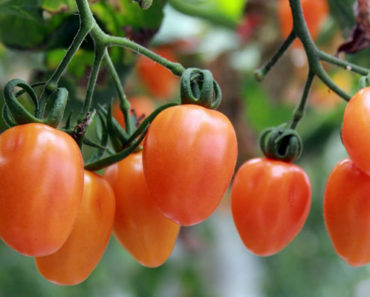 All plants, including tomato plants, require calcium, and they consume a great amount of it. Often plants can’t derive calcium from the soil because it’s not in a form that they can use, yet it’s the number one nutrient that is required to make them grow. This is one of the number one reasons why you should be fertilizing your tomato plants with calcium nitrate. Calcium nitrate can assist the soil in providing minerals in a form that is more easily utilized by the plant, even in difficult clay soil conditions. The calcium will force the separation of the clay, layer by layer, making it more porous. Calcium nitrate will encourage tomato plants to grow more quickly, and provide a greater yield of fruit. The plant will better be able to build up their resistance to disease and pests. The fruit will last longer on the vine, enabling more fruit to be enjoyed in meals. The tomatoes will last longer during transport, and be allowed to be stored for longer, without the addition of harmful preservatives. Calcium nitrate can also allow a more rapid absorption of nutrients by the plant than if they had simply been left alone to grow on their own. Calcium nitrate allow contains no fillers or additives. It’s a chemically-derived fertilizer that contains elements. This type of fertilizer will not steam, wash, or burn up the soil or plant. It also doesn’t create alkaline conditions in the soil, and does not leave any lingering salt behind in the soil. 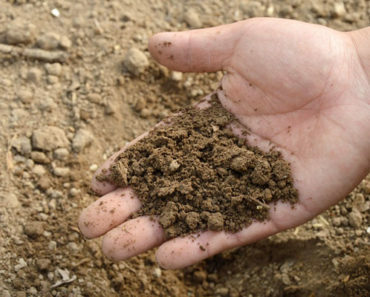 The soil can easily be cultivated for plants the following year. Since calcium nitrate is easily water-dissolvable, the best application method to plants is by a foliar spray. A foliar spray is made by mixing water with the calcium nitrate in a bucket, and then pouring into a spray bottle. 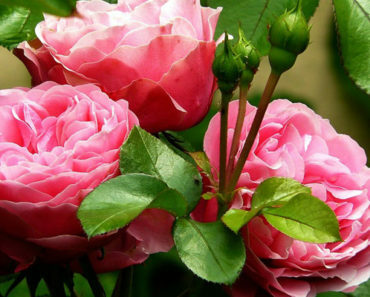 You will then use the spray bottle to spray the plant or soil, but to never do both at the same time. Before planting your tomato plants it’s best to learn how to space them apart for the best growing conditions. Ideally you want to space your tomato plants about two to three feet apart in rows that are four to five feet apart. To calculate how much calcium nitrate to buy at the store, you’ll need one gallon of solution for every twenty to fifty square feet of garden space. 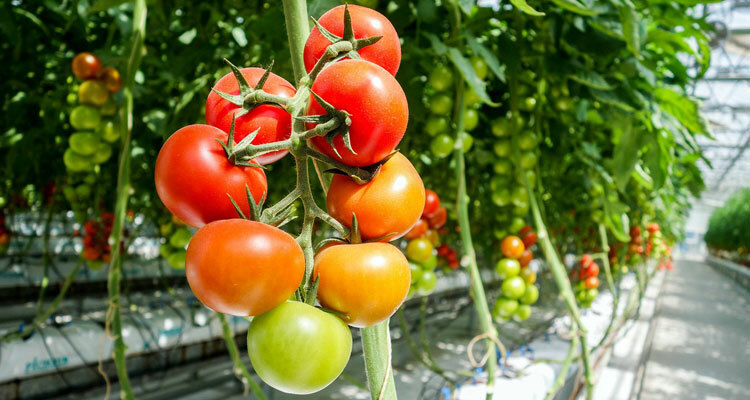 A foliar spray can be used on tomato plants grown in a garden, in a hothouse or greenhouse, plants grown on a patio in a controlled environment, and even tomatoes that are grown indoors like house plants. To mix up the calcium nitrate you’ll need to mix four level tablespoons of calcium nitrate into one gallon of water, in a bucket. Use a garden spoon to ensure that all of the calcium nitrate has been thoroughly dissolved. Pour some of the fluid into a spray bottle and twist on the spray lid. You can cover the remainder in the bucket until you need it again, but it’s recommended you use it up in one day. After you have mixed up your calcium nitrate solution you’ll be ready for spray application to your garden. For the best application method, wait until your tomato plants have grown to at least the second set of blossoms. After you see these second set of blossoms, you can the apply your spray to the tomato leaves two or three times a week. The second way to apply calcium nitrate to your plants is a side dressing directly into the soil. The amounts will differ. You’ll need about four ounces of spray solution for every seven to ten feet of tomato rows. You’ll mix your solution directly into the first one inch of surface soil, and avoid getting it on the leaves if you chose to do this method. Calcium nitrate has many other benefits for the garden, and not just for tomatoes. Since all plants require calcium and nitrate nitrogen to grow, it can be a great fertilizer for the entire yard, including grass. But there are many vegetables that are commonly grown in the garden, and the calcium nitrate can also suitable for them. All types of vegetables can benefit from using fertilizer, rather than nothing. These include broccoli, cabbage, cauliflower, celery, lettuce, and spinach. The recipe and application method is similar to the application for tomato plants. Since tomatoes are a garden staple they can benefit from other growing tips to ensure that yours are the largest, and firmest, yet taste good too. When you’re first planting your seedlings, don’t crowd them together. Ensure they have plenty of space from each other. Also ensure they are grown in a part of the garden that gets lots of light. Don’t plant them below a sun-blocking bush or tree. If you are growing them in a greenhouse or indoors, ensure you have adequate electrical lighting for them. Indoor plants love a bit of a breeze, and this can be replicated by a fan. Before planting outdoors, cover the planting bed with a black plastic sheet. This will heat up the ground. Seedlings love soil warmth, and this will encourage them to grow faster. When you plant your seedlings, bury them deeper in the ground than when they were planted in their seedling pots. This encourages root growth. Many people like to bury their plants sideways. They’ll soon raise up as they grow toward the sun. Don’t immediately mulch the ground. Do it after the ground has heated up. When your tomato plants have grown to a length of three feet remove the leaves that are from the ground and up to one foot. These are usually the leaves that will first develop fungus as soil-born pathogens will spray upwards. You can use a compost tea spray to prevent this. Even soil that contains a lot of calcium carbonate, or lime, doesn’t necessarily mean that plants can utilize this form of the nutrient. This is why a good fertilizer such as calcium nitrate will provide the nutrients that your tomatoes and other vegetables in the garden need. The calcium carbonate in soil does not dissolve well in water, making calcium nitrate a better form of plant nutrient. Remember that if you’re using calcium nitrate to not use any other agricultural chemical on your tomato plants. Keep your calcium nitrate in closed packages and in a dry, moisture-free spot in the garden shed. With some attention to detail, you’ll experience a better crop of tomatoes this year. Thanks for lesson need more on fertilizers like potassium nitrate, magnesium nitrate etc.